What’s small, cheap, yellow and plenty of fun for kids and adults alike? Ladies and gents – we give you the Sky Viper Drone. This relatively young company is taking on the other beginner drone manufacturers such as Hubsan, UDI and Syma. 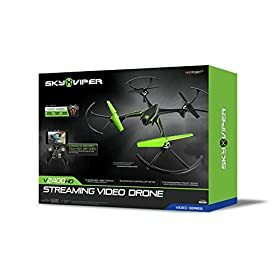 The Sky Viper Drone comes with a whole series of drone models: from the nano drone at the cheapest price, to stunt drones, racing drones HD Video streaming drone. Let’s take a deeper dive at the Sky Viper Drones and try to answer the question – which of these drones should I buy? 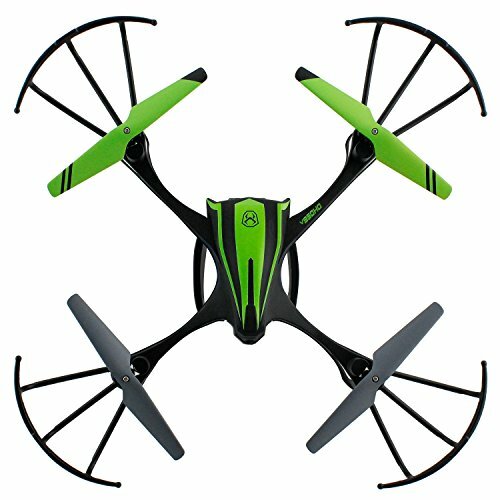 Other drone manufacturers that specialize in beginner / training quadcopter models, watch out. I’m looking at you, Hubsan and UDI. 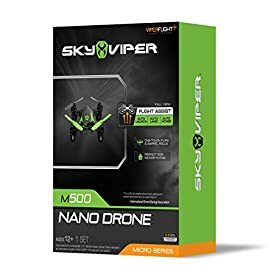 Sky Viper drone models have started to boom in the market. 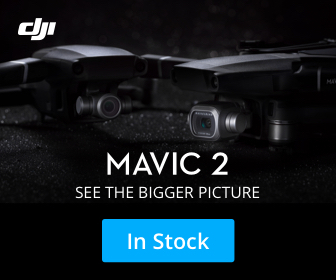 Although they’re nowhere near the popularity of such stuff as the DJI Mavic, we have a feeling that this upcoming drone brand will see more exposure as the quadcopter industry continues to boom. As they recruit more distributors, their popularity is only bound to grow. Each of the three models we tested for this article flies very nicely given their very affordable price point. 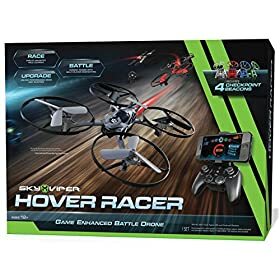 The Sky Viper quadcopters are manufactured by the parent company, Skyrocket Toys which has offices in Los Angeles, Hong Kong. 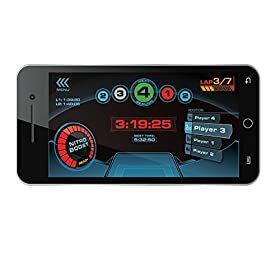 Skyrocket Toys creates products which are sold under major licenses as well as proprietary brands such as Recoil, Sky Viper, Real Cooking and Mebo. In this article, we’ll be taking a closer look at three main Sky Viper models, which can be bought at such places as Walmart, Target, ToysRUs. Your cheapest option is typically online at Amazon.com. We do believe that Sky Viper drones are a perfect middle-ground for anybody who is looking to start experiment with drones. 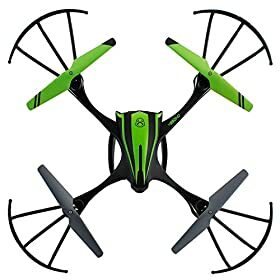 They’re not expensive as some of the more advanced models, but they’re not as horrible to fly and use as some of the cheaper models. They’ve got just the right balance. The latest tiny Nano drone is perfect for training indoor flying but also sturdy enough for flying outdoors. 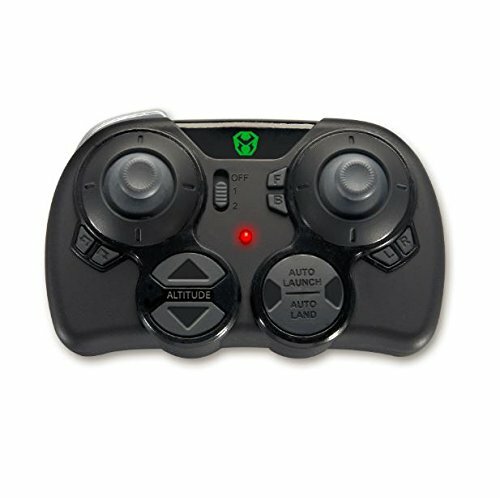 Just like it’s predecessors, the M500 can perform one touch stunts like left and right barrel rolls and flips at the touch of a button. But the real upgrade in this drone comes in the form of it’s Sky Viper Flight+ technology, At this price, you’re unlikely to find drones which are able to auto launch, hover and land. The M500 on the other hand, can do all of that. Thanks to the Sky Viper technology, the nano drone is able to auto-launch, auto-hover and auto-land. 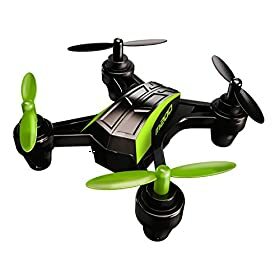 While this is not exactly great for training, it’s great if you want to have some fun with your kids with this drone. No FAA registration is required of course. 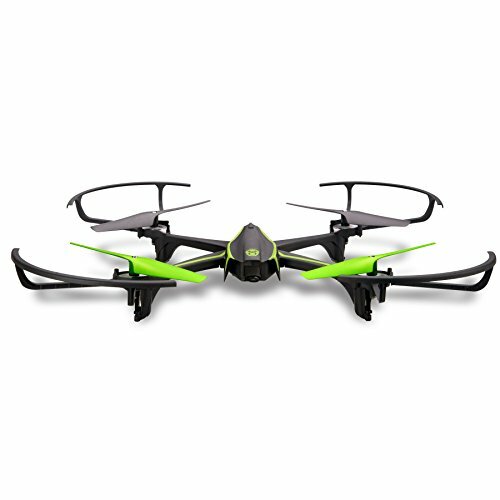 The Sky Viper s1350HD is another 4th generation drone from Sky Viper. Contrary to the M500 though, this is actually a camera drone, actually, it has an HD camera built-in. The s1350HD can execute 8 one-touch stunts (including; Flips, Barrel Rolls, Spirals, Spins & more), which can all be captured in POV style in HD video. You can also choose Manual Altitude for complete control of stunt maneuvers or Auto Hover for hands-free altitude control. The Viper Flight+ technology is also built into this Sky Viper drone, given the capabilities of Auto Launch, Auto Hover, Auto Land. 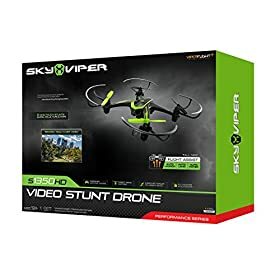 Sky Viper has made it a habit of giving us excellent drones, with great features at ridiculously cheap prices and the s1350HD surely fits that description. Go ahead and get it now from Amazon, using the link above. 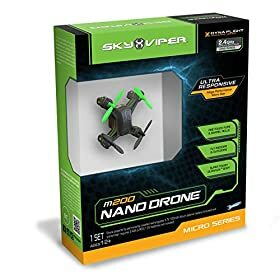 Let’s keep looking at the other Sky Viper drone models, always increasing slightly in price, size and of course … feature! Network up to 4 drones at a time and add more beacons to create customizable courses. The sky's the limit! 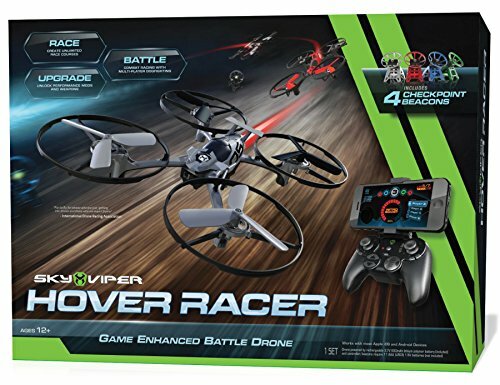 AS this drone from Sky Viper is actually meant as a beginner drone racer, you’re going to find plenty of features for drone racing. Network up to 4 drones at a time and add more beacons to create customizable courses. 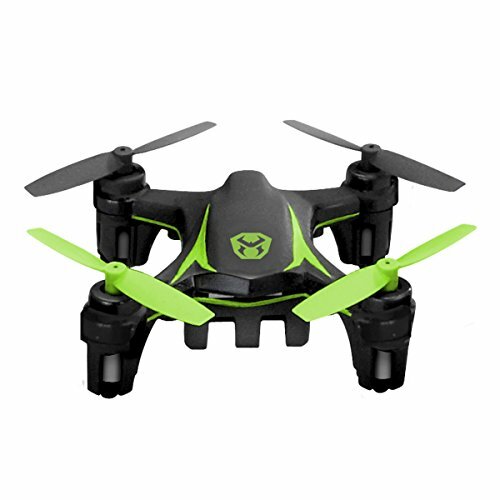 The Sky Viper v2400HD is another small high-definition camera drone. 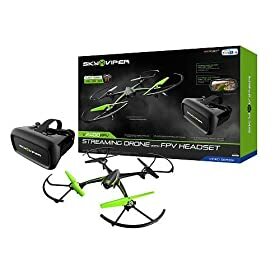 As with many of the Sky Viper drones at this price point, it has the ability to fly both with or without altitude hold. If this drone is being flown by a beginner, the ability to use altitude hold can be an incredibly helpful feature. However, more experienced pilots will prefer to fly the V2300HD in more of a “sport mode” – i.e. without the auto-hold mode on. Of course, the ability to turn on and off altitude hold is a feature typically not available in this price range, so that’s surely a great plus. 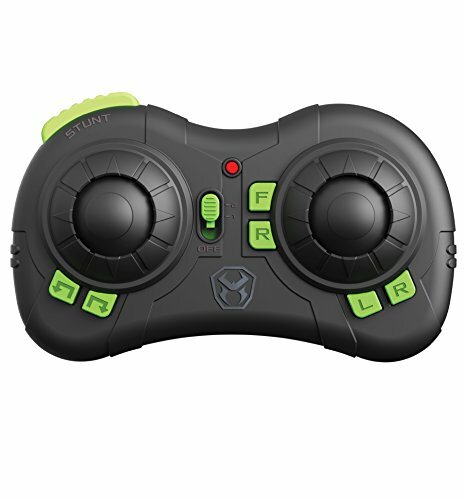 Other awesome features of the Sky Viper quadcopter model, is the well-labeled remote and the excellent smartphone app. 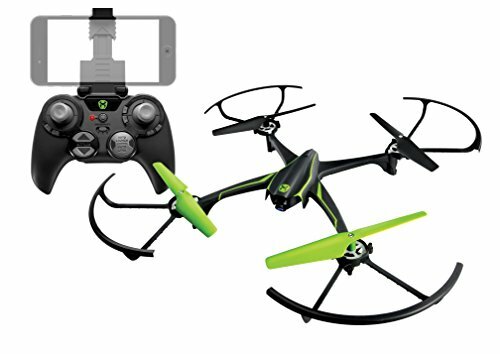 For sure, you won’t regret this drone, and at this price, it’s a no-brainer. The camera on the Sky Viper v2400HD was has been designed with first person view (FPV) flight in mind. 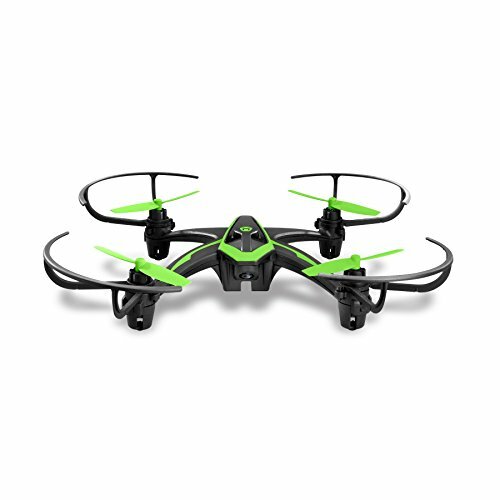 It has a horizontal field of view (HFOV) of 95°, which is typically only available on racing drones. 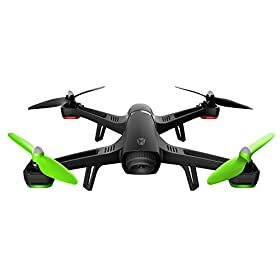 The camera quality is among the best for drones in this class despite the limited 720p resolution – which still qualfies the drone as an HD camera drone. The image has a bit of fisheye effect, but this is normal with such a wide field of view. The camera angle is a bit too far down – it is meant for higher aerial shots that are looking down at the pilot. 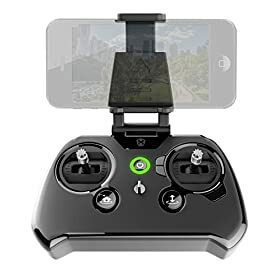 A horizontal camera or a camera that is looking slightly up is better for FPV flight, while a downward facing camera is better for photography. – so this is a bit of a compromise. Like all WiFi FPV cameras, there is some lag between the drone camera and the image you see on your smartphone. 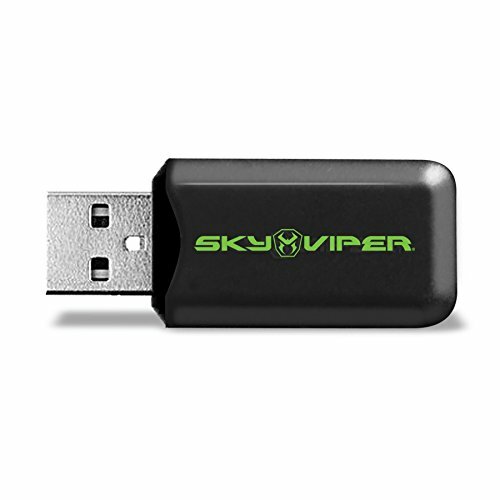 The Sky Viper v2400HD has a lot of great features, for under $100. 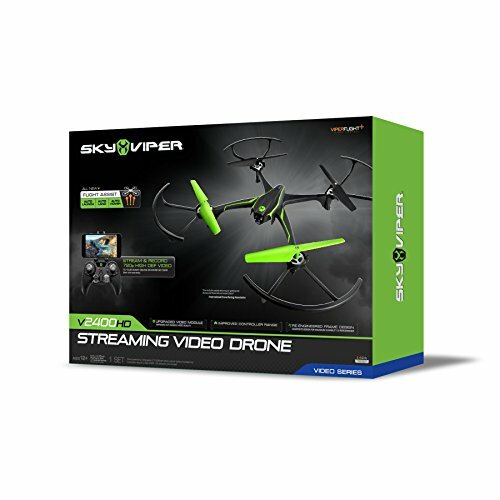 Sky Viper is really trying to get ahead of the competition with features that normally demand a more expensive price tag. Record 720p High Definition Pictures and Video. Experience a true bird's eye view with the adjustable HD SkyPro camera! 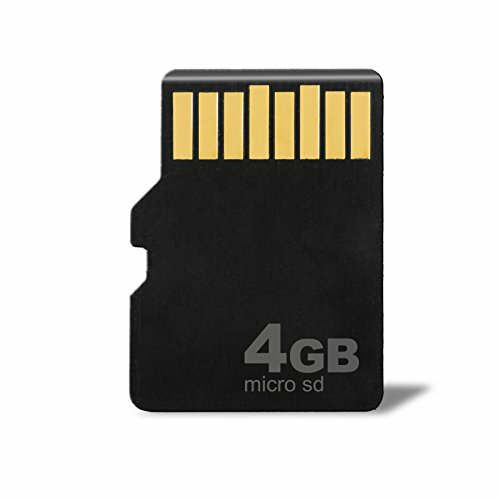 Use the included 4GB MicroSD Memory Card to capture 20 minutes of flight footage at a time. 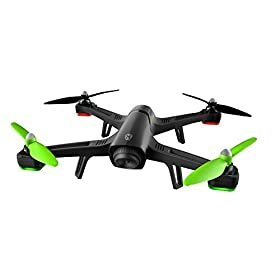 The HD Video Drone is a big step up from either the Nano or Stunt models (which have since been discontinued – see our older reviews below). 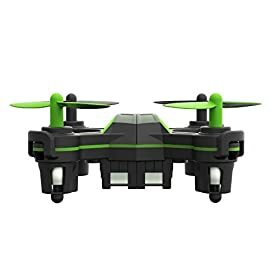 At the price point of just under $90 (as at the time of writing), this is the only drone model that can perform a one-touch panorama. When the panaroma button is pressed, the aircraft enters a controlled-spin flight pattern and automatically captures a 360-degree view from up to 200 feet away. 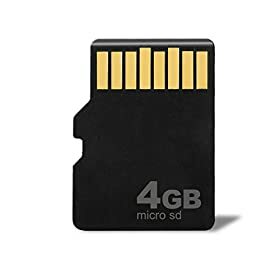 Included with the Sky Viper HD drone, is a 4G MicroSD memory card which can hold up to about 20 minutes of video footage shot at 720p. resolution. 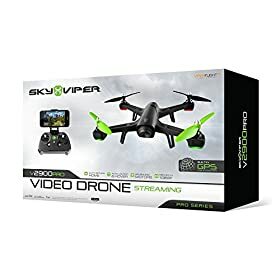 Unlike most other drone video models at a similar price the Sky Viper HD Video Drone allows you to adjust the camera up to 130 degrees. This is excellent, such that you optimize the angle for birds-eye view photos, action videos, and more. And we’re leaving the very best Sky Viper drone for the very last. 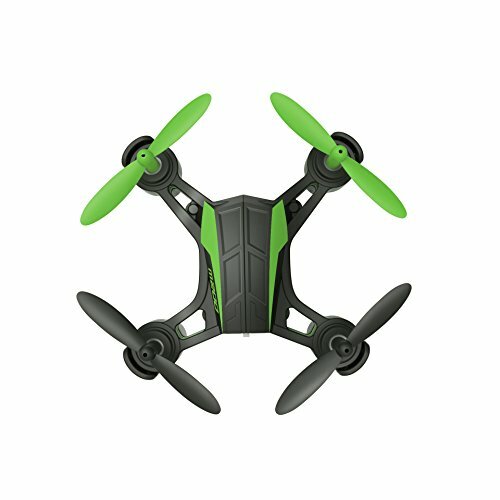 Given the features we’ve seen on the lower priced Sky Viper quadcopter models, you can imagine this is going to be one heck of a drone! The v2900PRO comes fully loaded with high-performance ViperFlight+ technology like we’ve seen on the other Sky Viper drones, like Auto Launch, Auto Hover, and Auto Land. But that’s only getting started with this drone! 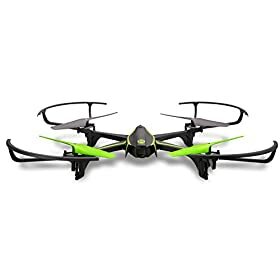 This latest and greatest Sky Viper also comes with on-board GPS, powerful brushless motors, and extended battery-life compared to all the previous Sky Driver drones we’ve covered. Of course, a high definition premium built-in camera can record, live-stream, and sends photos right to your device. It’s also got an improved 120-degree wide angle camera lens. The camera can stream 720p video at 20FPS and can shoot 730p video at 30FPS. Once again, the v2900 PRO is the latest in the Sky Viper Pro Series that has over-delivered and undercut prices. 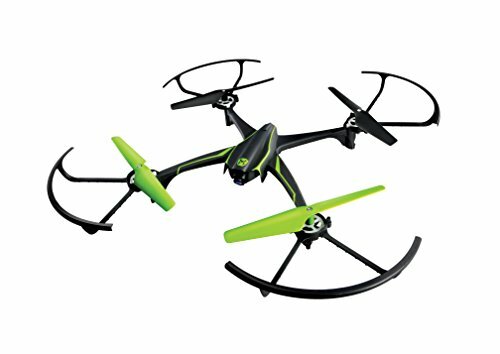 The v2900PRO has been nominated for Toy of the Year 2016, the top-selling Sky Viper Drones from Skyrocket Toys continue to deliver hobby-level performance at a great value. The 4-Blade Advantage: Experience the ultimate in flight agility, control, and stability. 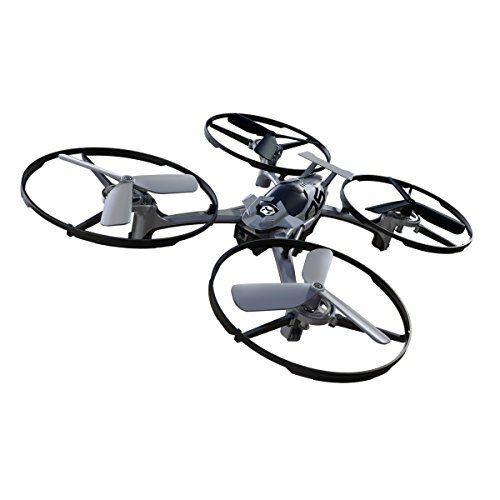 4 blades offer the maximum in aerial control so you can focus on the fun of flying. 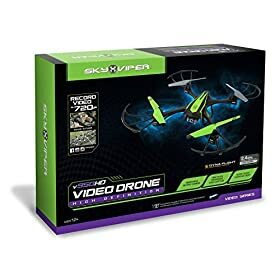 Update: this drone has now been discontinued so you’ll need to have a look at the other Sky Viper Drone models instead of this one. We’re going to leave our review of the Sky Viper here even if it’s unlikely that you’ll find this drone for sale. 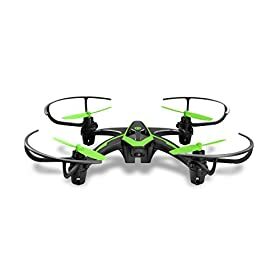 If you’re looking for a good small quadcopter which you play with indoors? This little nano-drone is no larger than the palm of your hand but packs a lot of punch for a such a tiny drone. First of all, it’s very stable, particularly during a rotational yaw. If you’re a beginner flyer, it might feel a bit jumpy at first. But this is not a problem with the drones specifically. 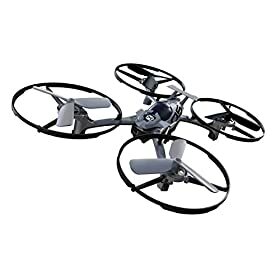 It’s particularly tricky to learn to control the altitude of this type of drone with models in this price range. Once you understand and learn how to control the throttle, you’ll be amazed at how much fun this Nano is to fly. 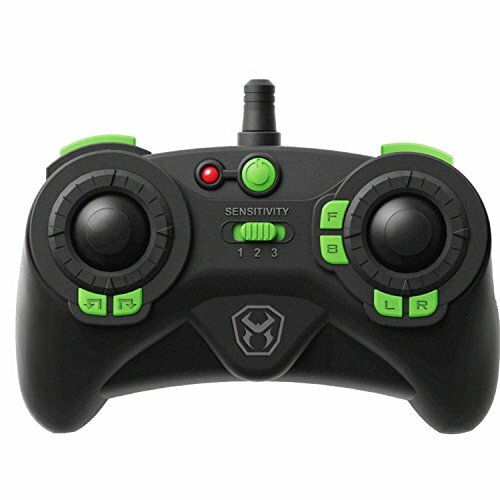 The 2.4 Ghz transmitter on the Sky Viper’s controller reaches up to 200 feet, so you’ve got quite a bit of flying range to play around with. Even if this model is the Sky Viper’s cheapest drone model, the Nano has three different sensitivity controls. You can also enjoy the fun, one-click barrel roll when you press the Stunt button. 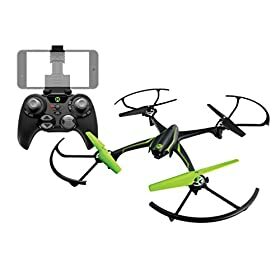 Update: This drone has also been discontinued by the manufacturer, but don’t you worry, there’s plenty of other options for you. 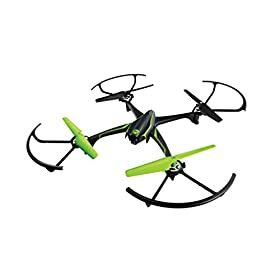 While this The SKY Viper S670 Stunt Drone operates similar to the Sky Viper Nano, it’s a little bit bigger and includes prop guards, which will save you a few heart aches if crash your drone during training. It also flies at up to 16 mph, just a little bit faster than the Nano. Other than that, the settings are identical. 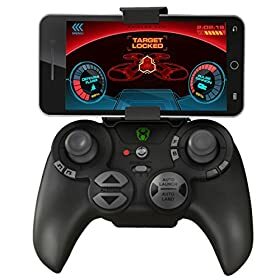 It has three different flight sensitivity modes, and with one button the drone can perform either a front-flip, back-flip, or a barrel roll to either side. 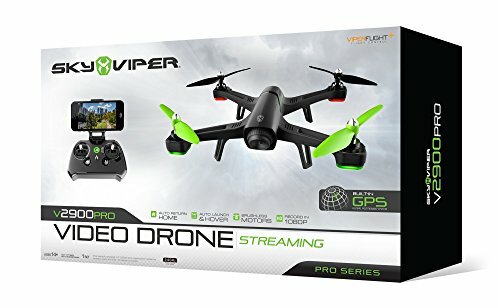 What do we think of the Sky Viper drone series? Sky Viper is clearly getting into the game to win it – they’re setting the standard when it comes to both feature sets and price, they’ve set a new milestone. Even though they’re not as popular as some of the other drone manufacturers – it’s only a matter of time before they gain in popularity – given the marketing push they’re doing. 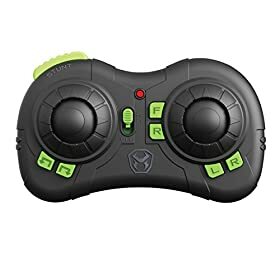 The bottom line – Sky Viper Drones are right there with the other players, UDI and Hubsan – if you’re going for beginner drone models, do try them out – you won’t regret it.